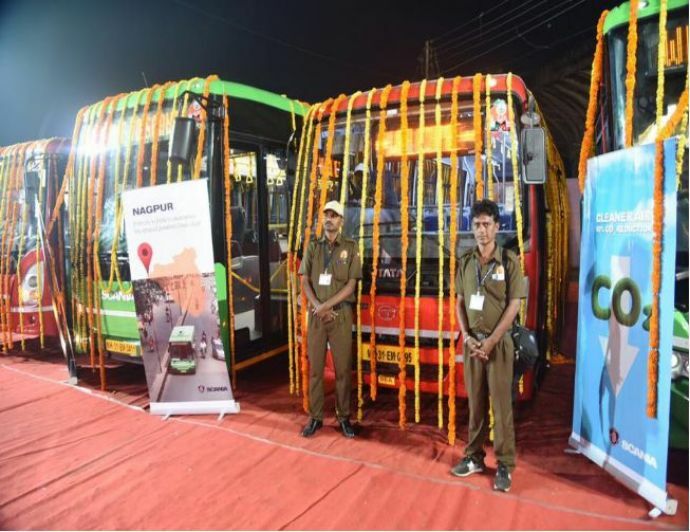 Nagpur, The First City In India to Have 55 Eco Friendly Smart ‘Green Buses’ For Public Transport! 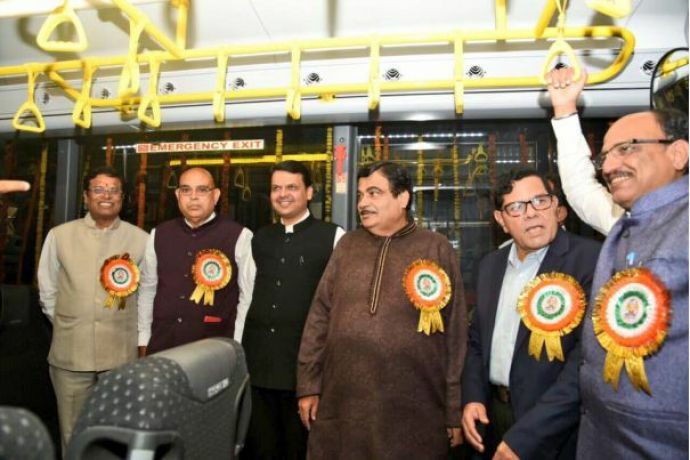 India’s first project to test the ethanol-run environment-friendly ‘smart green buses’ for public transport was launched by Transport minister Nitin Gadkari on Monday. 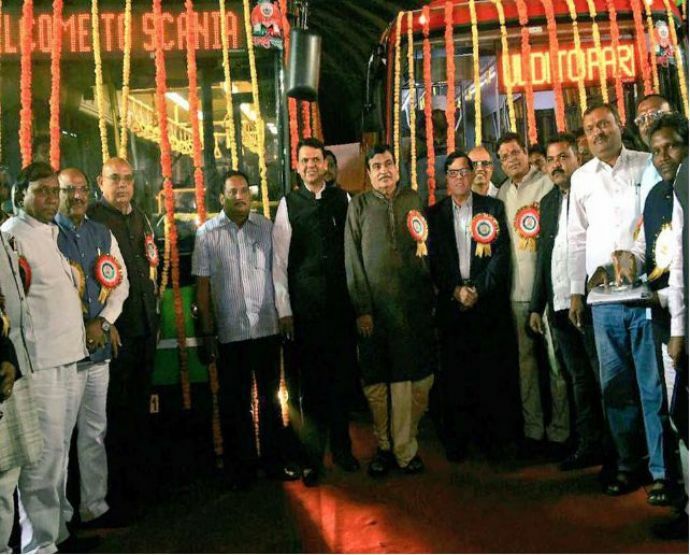 As the second capital city of the state, Nagpur gears up to turn into a ‘Smart City’, the arrival of the 55 eco-friendly buses make sure that it is in the right direction. 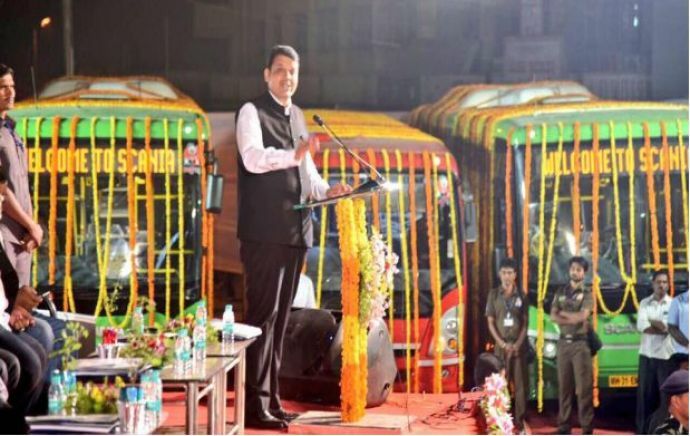 Inaugurated by the Chief Minister of Maharashtra, Devendra Fadnavis, these Eco- friendly buses are likely to run on the city roads in next three months. Citizens can experience a comfortable and joyful journey. A report suggests, annual bill of around Rs 6 lakh crore for consumption of fuel is apparently hindering the economy. Using the ethanol-based public transport the fuel imports and fiscal deficit is expected to reduce upto 2 lakh crore. Besides, the operation of buses on large scale can minimize foreign exchange and reduce diesel imports. 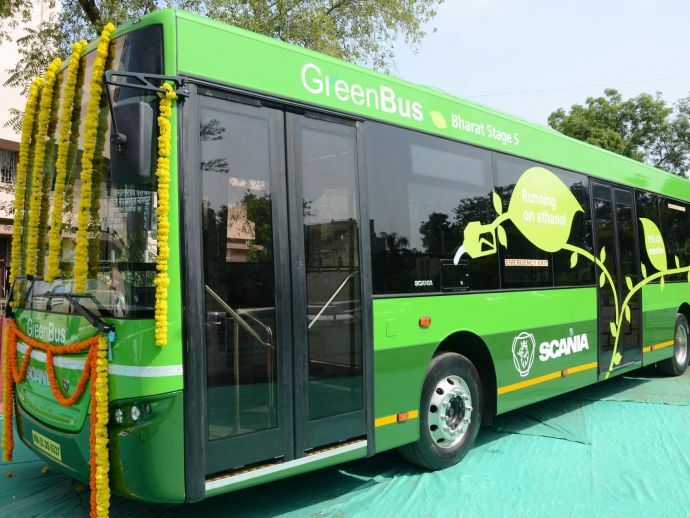 However, the mileage of these eco-friendly buses is less than that of the diesel-run buses. According to the data of NMCs city transport committee, the average of these buses is about 1.33 kmpl. Whereas, travel operators suggest that an analogous Diesel-run bus gives an average of around 3 kmpl within the city. Even the poorly maintained Star-buses in the city give a mileage of around 3.25-3.50 kmpl. Moreover, though the price of ethanol is less compared to diesel, it requires a special additive which makes ethanol as costly as diesel. 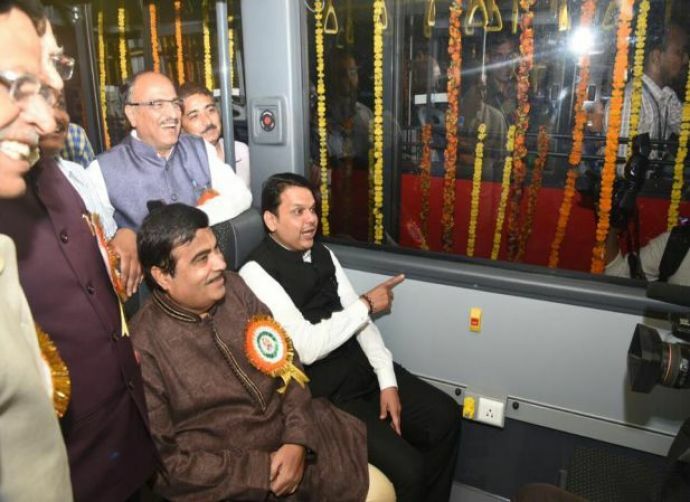 Nevertheless, we all appreciate and applaud this move undertaken by the Transport Minister Nitin Gadkari and the Chief Minister Devendra Fadnavis.